Take the N2 towards Stellenbosch, turn off onto the R310 (Baden Powell) into Stellenbosch. Turn off onto the R310 (Baden Powell) into Stellenbosch. Continue on the R310 through Stellenbosch, and over the Helshoogte pass. Turn right onto the R45 and continue through Franschhoek up to the Huguenot Monument. Turn right and continue for 5 km's right to the end of Excelsior Road past La Franschhoek Hotel and Boekenhoutskloof. 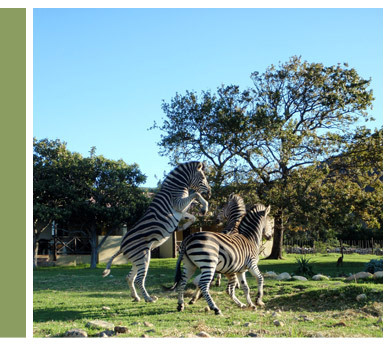 Carry on until Three Streams Trout farm turn left and follow the signs for Franschhoek Country Cottages. Take the N1 to Paarl, then take the R45 (Klapmuts) off-ramp and continue to the Franschhoek turn off. Continue on the R45 past various wine estates to the right turn to Franschhoek (remain on the R45). Continue through Franschhoek up to the Huguenot Monument. Turn right and continue for 5 km's right to the end of Excelsior Road past La Franschhoek Hotel and Boekenhoutskloof. 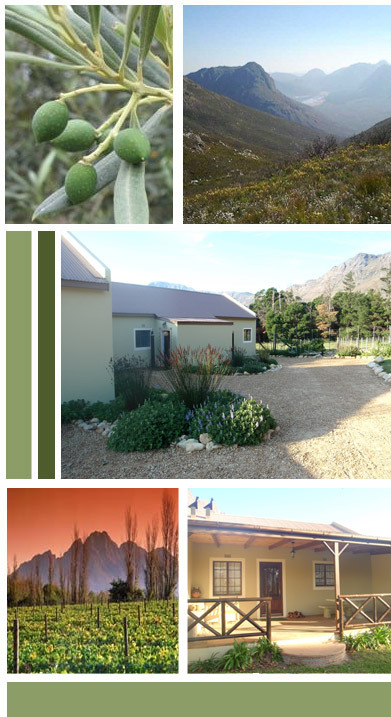 Carry on until Three Streams Trout farm turn left and follow the signs for Franschhoek Country Cottages.